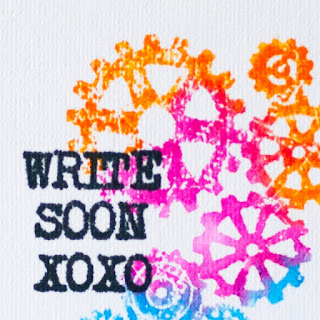 Is there a faster and simpler recipe than to ink a stamp with several Distress inks, spray it with water and stamp down? Today I am sharing a card made with Take the Time stamp set by IndigoBlu. I have never played with this set although it is not a fresh one. 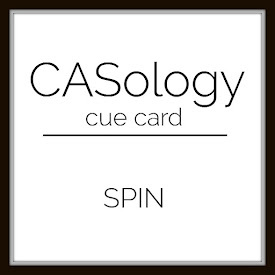 This card is inspired by CASology #187 cue word - Spin. Нет ничего проще, чем нанести чернила Distress на штамп, брызнуть водой на него и сделать оттиск! Сегодня я показываю работу с уже не новыми штампами от IndigoBlu из набора Take the Time. Идея этой открытки пришла ко мне, когда я увидела задание в чб CASology #187, где кодовое слово - Вращение. Thanks for visiting today. Have a beautiful day! Спасибо, что заглянули! Всем чудесного дня. Fabulous rainbow cog card. Very unique and wonderful way to use the rainbow for A blog Named Hero challenge this month. Thanks so much for joining us and wishing you good luck on your entry. Take care. Really wonderful cas card! Love the white space you achieved. This card has so inspired me and reminded me why I love to stamp so much. The perfect CAS design and vibrant colours. I had to pin this joy! Think I may need to CASE this very soon...hope that is o.k? Wow, this is so cool! 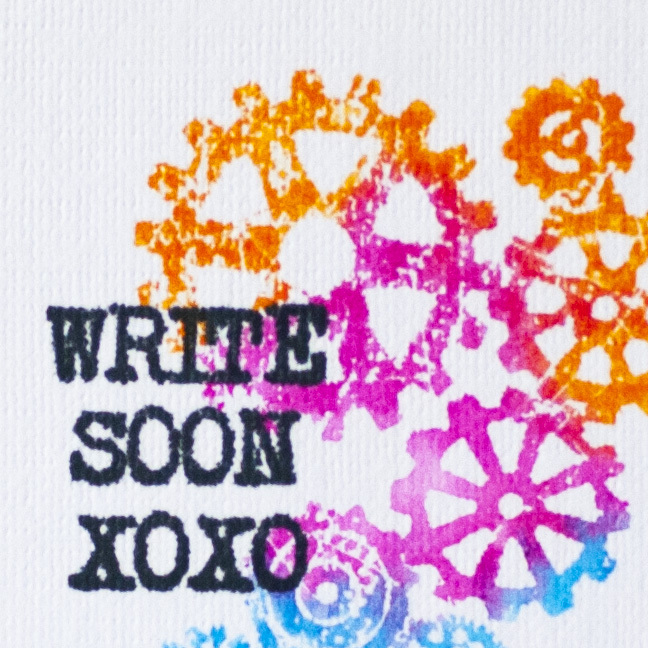 I love the rainbow of inks you used, and the spritzed effect looks great with that bold, black sentiment! A great CAS, one-layer card! Thanks for joining us at CASology! Your rainbow gears look so cool! Such a fun card! 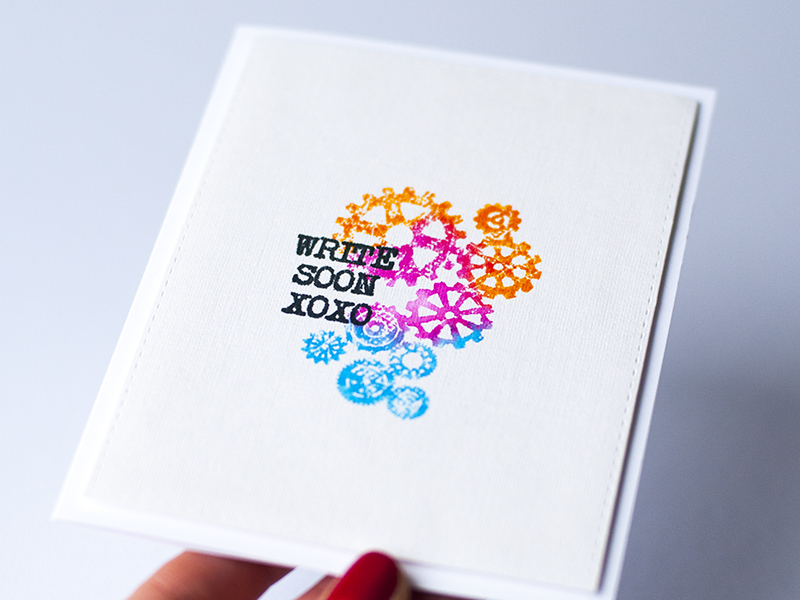 Love your rainbow of gears - terrific take on "spin"! Thanks for playing along with the CASology challenge this week! This is SO pretty! Thanks so much for taking the time to stop by and share your talents with us. It's always a real treat to have you share your art in our challenges, and I really hope that you will join us again soon. One of my fave techniques! I loved the colors you chose with the intensity of the black ink :) Thanks for sharing this awesome card at CASology this week! 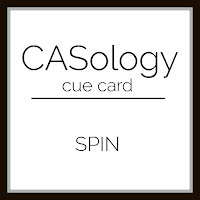 Thanks for joining us at Casology! Such a wonderfully colorful CAS card! Thanks for playing along with us at CASology this week. Beautifully done & perfect image for this week's cue word! :) Love the bright colors!!! Thanks so much for joining us again over at CASology! What a great idea !!! This is wonderful, thanks for playing at Catch The Bug.